- 200 Vampires sentenced to death for crimes such as Murder in the first degree and Manslaughter. 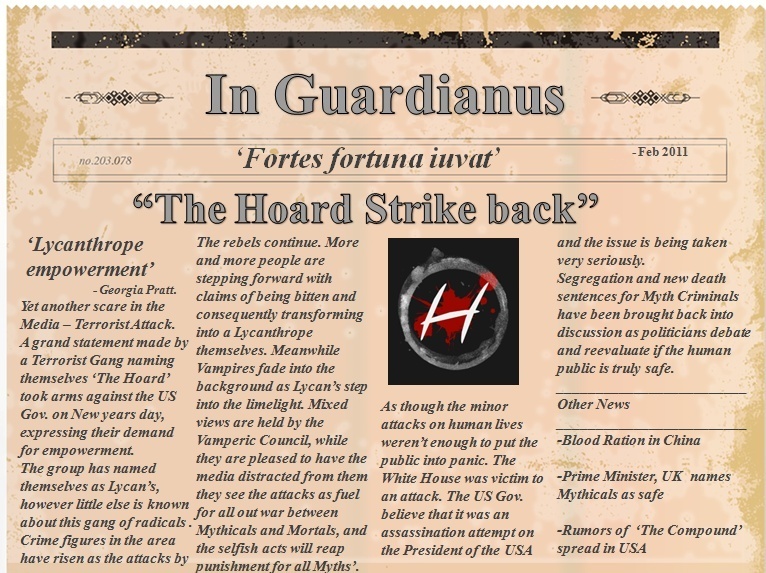 - The Hoard take over 30 lives in the Wash. DC area as well as 14 in NY City. Some believe World War III is drawing near, as whispers from Elven leaders also spark violence.